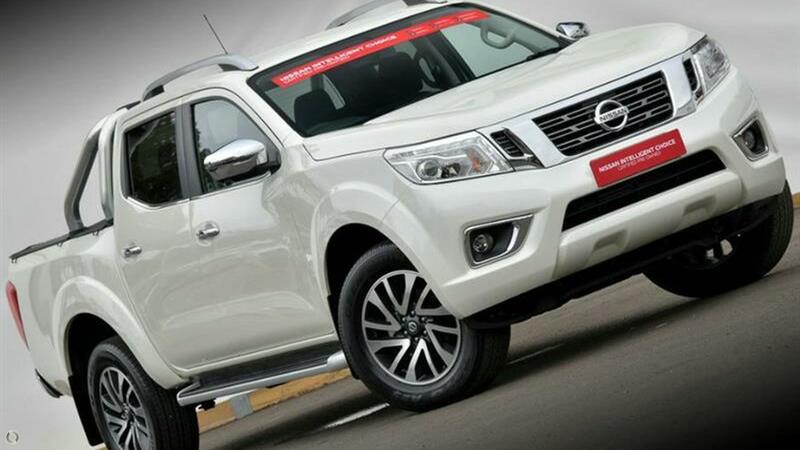 This Dual Cab 4x4 Auto Nissan Navara is Stronger for Longer with its Dual Rate Suspension and is stunning in White Diamond coupled with a well maintained Premium Cloth Interior to give you the comfort you've come to expect and finished off with Gorgeous 18 Alloy Wheels and 20,000km Service intervals and class leading fuel economy to keep you on the road for longer. It's Dual Rate Coil Sprung suspension allows for a smoother more comfortable ride for the long trips both on and off road. The bonus of the Balance of the New Car Factory Warranty and Nationwide Roadside Assist will help and to really seal the deal this vehicle is Certified under the Nissan Intelligent Choice Program. With fantastic standard Nissan Intelligent Mobility features like 7 LCD Colour Touch Screen with Satellite Navigation with Bluetooth Phone and Audio Connectivity for both Android and Apple device with Voice Activation and Traffic Monitoring, 130 x92 Field of View Rear View Camera, All Around View Monitor System, Keyless Entry with Push Button Start, Dual Zone Climate Control, 5 Piece Tubliner with Adjustable Tie downs and Extra Power Source in the Tub, Side Steps, LED Automatic Headlights, Fog Lights, Alloy Sports Bars, and Full Size Spare Wheel.